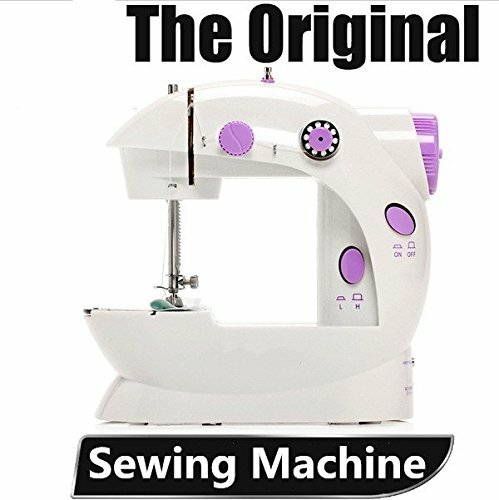 This compact portable automatic dual-speed sewing machine can also be operated with 4AA batteries (not include) if there is a power failure. Light weight, versatile and practical has 2 speeds settings, tension adjuster, and automatic bobbin winder. This product comes with AC / DC adapter and pedal leaving the hands free for handing. Save time and money making perfect repairs and adjustments to your crafting pieces. If you have any questions about this product by DEWEL, contact us by completing and submitting the form below. If you are looking for a specif part number, please include it with your message.